Just 6 years after the first historic flight of the Wright brothers and aircraft airfield was built in Zagreb, between Selska street and the Crnomerec stream where the famous engineer Slavoljub Penkala managed to attempt the same on an aircraft he made himself. Zagreb Airport at its current location opened on April the in 1962. year. It had a concrete runway with a length of 2.5km, a parallel taxiway, a passenger building area of 1000 m2, a parking space for 5 smaller aircrafts and a variety of smaller service facilities. In 1966., a new passenger building area of 5000 m2 was built, the platform extended and a modern administrative building with a control tower for regional air traffic control was added. 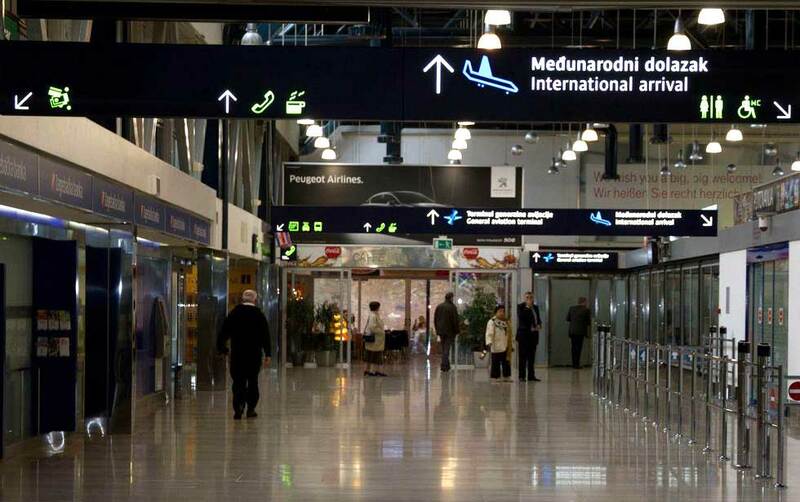 How to get to Zagreb airport? There is a direct line from the main bus terminal on Marin Drzic Avenue provided by Pleso prijevoz. The shuttle bus terminal is located at the ground floor. Timetable: Zagreb airport shuttle bus.. If you arrived to Zagreb by train, get onto the tram number 2 (direction Savišće) or 6 (direction Sopot) and get off at the 3rd stop to reach the main bus terminal. After 8 PM, buses depart from the airport after aircraft landing. Current timetable is valid for 2018.